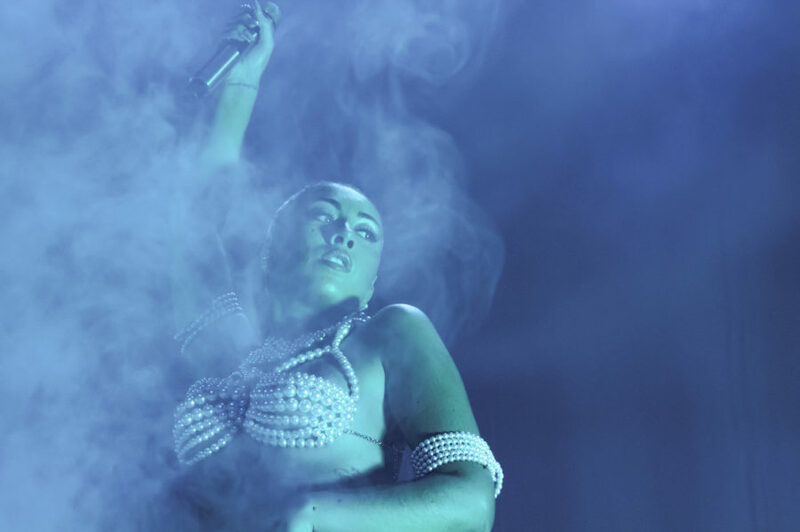 Kali Uchis began her set from behind a curtain, her silhouette perfectly framed by a spotlight, the stage lit by red floor lights. Arching her back as she cooed the opening of “Dead To Me,” she soon cut through the curtain’s central split and appeared. Packed with punchy synths, a host of grade-A features and lyrics about growth and change … Flower Boy is all about Tyler laying claim to his own softness.